This session aims to provide concrete tools and strategies to develop and grow professional networks, both individually and institutionally, and how to maintain them in a globalized science community. Presenters will analyze case studies, discuss good practice examples, and give advice on how to utilize digital platforms and professional contacts. This session will be dedicated to exploring opportunities for partnership building between researchers and industries from both sides of the Atlantic. Through a co-creative and highly interactive workshop, participants in the Discovery Lab will explore the strengths, opportunities, aspirations and results of transatlantic collaboration in Research and Innovation, share best practices for good partnership building and shape the future Transatlantic ICT Forum as the community of practice to enhance collaboration between Europe, the US and Canada. The Marie Skłodowska-Curie Actions are European Grants providing funding for the mobility and career development of Researchers. The prestigious and competitive “Individual Fellowships (IF)” particularly focus on boosting the research career of Experienced (usually post-Doc) researchers. Our featured speed-Workshop aims to present Hints-&-Tips on Proposal Writing for MSCA-IF. 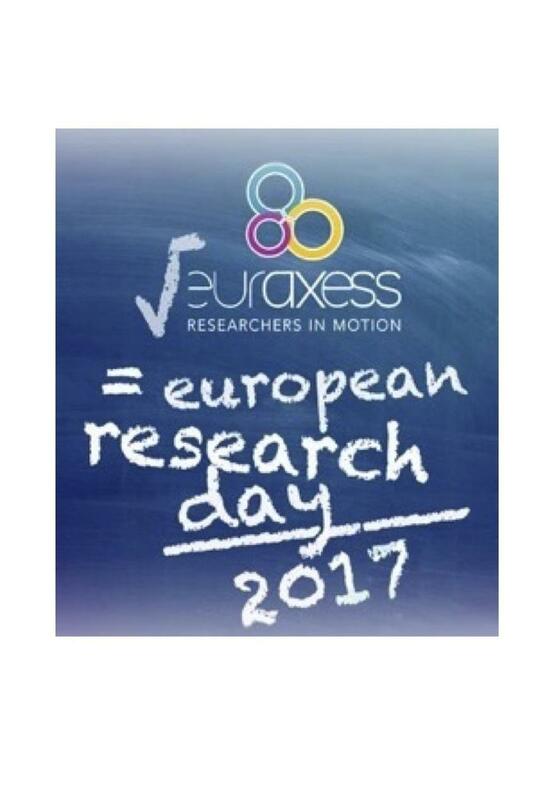 EURAXESS North America built strategic synergies with both Google and DISCOVERY for European Research Day 2017. DISCOVERY is a Horizon 2020 project promoting EU-North America dialogue on ICT policy, cybersecurity and funding mechanisms for transatlantic collaboration in research and innovation. The objective of EURAXESS North America is to actively promote Europe as an attractive and open place for researchers and innovators. It networks European researchers working in North America as well as non-European researchers/innovators interested in opportunities in Europe. It provides information about research in Europe, European research policy, opportunities for research funding in Europe, for S&T collaboration with Europe and for trans-national mobility. The network is open to all nationalities and research fields.